GENTLY REPAIR, MOISTURIZE, SOFTEN, & EXFOLIATE YOUR SKIN WITH PREMIUM NATURE’S BODY & FACE SCRUB! 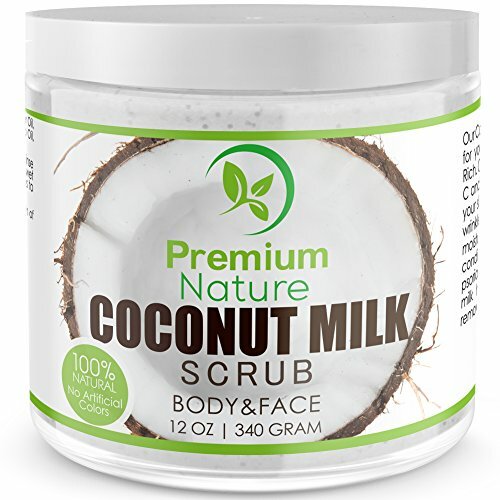 Coconut Milk’s properties and the sea salt component of this scrub work together to combat breakouts and acne! They keep your pores clean and open. With various healthful ingredients such as avocado oil and almond oil, this formula effectively combats the appearance of aging by giving you a firmer, younger-looking complexion. It brightens skin, reduces inflammation, and increases collagen production. It has plenty of small beads that go down deep into your skin to remove all the dirt, toxins, and dead skin from your pores. This scrub not only makes your skin clean, it makes it softer and gives you a new radiant complexion!